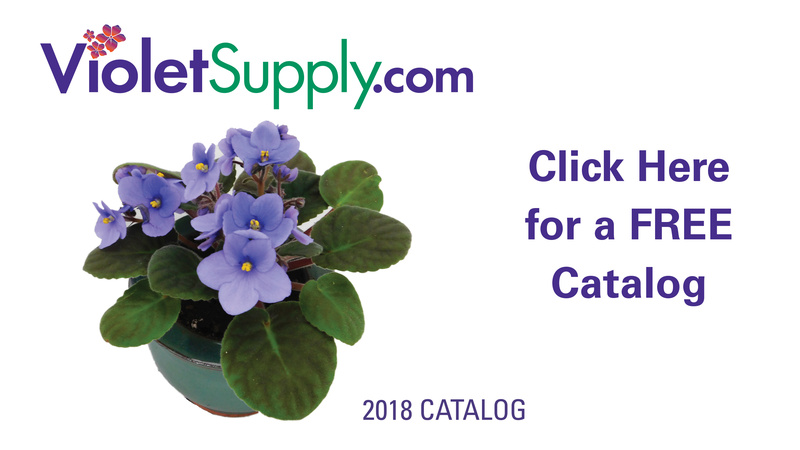 We are horticulturists with years of experience testing, evaluating and loving all the African violet and gesneriad supplies we offer for your violet growing hobby. We make our own violet potting mixes and use only the highest quality ingredients with custom blends of sphagnum peat, coir fiber, vermiculite and hydrocks to promote healthy root growth and long lasting colorful blooms. Our “Wick-Mix” is a special blend that provides the perfect amount of moisture retention for wick watering. We carry a full line of beautiful ceramic violet pots, self-watering pots, oyama pots, leaf ring supports, humidity trays, urea-free blossom booster fertilizers, and T5 fluorescent grow lights. Call us if you have questions or want to talk about growing violets.